Rotator cuff muscles are the stabilisers of the shoulder! The shoulder has the greatest range of motion of any joint in the human body. But it comes at a price; because of its high mobility it is susceptible to injury. The shoulder is a “ball and socket joint” however the ball is considerably larger than the cavity it sits in, think of it as a golf ball sitting on a tee. You are now wondering how in the world does it stay in there and not continually pop out of the socket? All of these muscles have their own individual input to create movement of the shoulder however their primary function is to all work together in harmony to stabilise the shoulder. The mechanics of shoulder movement is very complex however to be able to move your shoulder throughout its full range of motion pain-free, relies heavily on the strength of the rotator cuff muscles to “control” the movement and keep it in the socket. Frequently a lot of people make the mistake of forgetting about these muscles when they go to the gym because they are more concerned about obtaining those cosmetic muscles. Studies have shown that 68% of problems related to shoulder instability have rotator cuff problems. If you neglect these muscles you could be in for a rude awakening when you wont be able to workout, perform daily tasks with ease or play your favourite sport due to the pain. Are you on a fast track to shoulder pain? Do you have a slouched posture with your shoulders rolling forward? If you do, you might be suffering from a shoulder issue involving the rotator cuff. Commonly shoulder pain and/or instability is a result of muscle imbalances. Some muscles will be tight and some may be weak. It is important to identify what muscles you need to stretch and what to strengthen in order to get the best results. If you are unsure, please consult a professional, as they will identify what exercises you should be focusing on. Once the muscle imbalances have been identified the solution is quiet simple… Stretch the tight muscles and strengthen the weaker ones. Also combine that with shoulder mobility exercises! When doing rotator cuff strengthening exercises, try and use higher repetitions (15-20) at a longer duration (slow reps). Try and adopt a 4-second contraction and a slow 6-second controlled eccentric movement back to the starting position. It is also important to do mid back extension exercises during the rehabilitation process as it plays a major role in the shoulder biomechanics. We hope you found this information helpful and if you have any further questions regarding the rotator cuff or if you want to resolve any shoulder pain don’t hesitate to contact us. Shoulder pain is a common condition that we see at Dee Why Chiropractic Care and is something we can help you recover from! 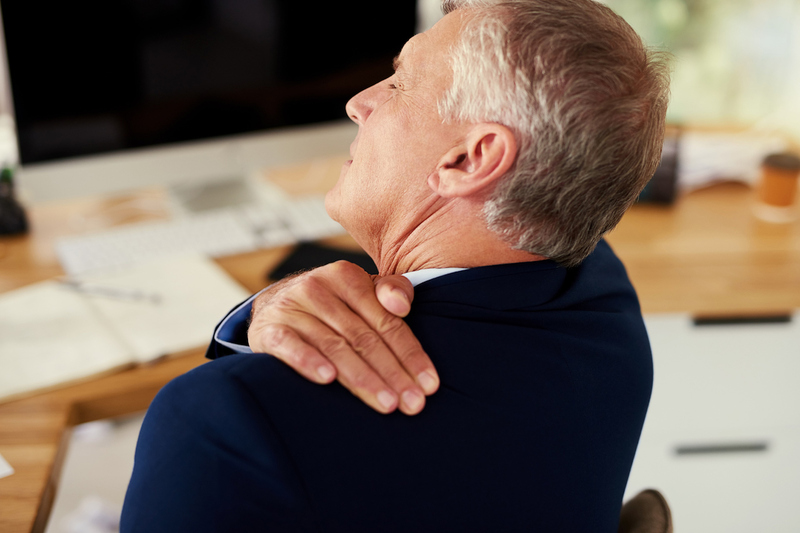 Shoulder pain can happen to the active individual or can gradually creep up on you if you have desk job. Being on the Northern Beaches many people come in complaining of shoulder pain because they play sports that involve lots of shoulder activity such as surfing, swimming, golf and tennis. Due to the shoulders ability to move in such a tremendous range of motion it is prone to injury. It sacrifices stability for mobility! This is a tear of the cartilage that helps hold the shoulder in the socket. SLAP tears are commonly referred to as labral tears. They occur over time due to repetitive overhead movements of the shoulder such as playing tennis, baseball or swimming. This can happen in contact sports such as rugby or in ones that require repetitive shoulder motions such as tennis. We have all heard of someone who has dislocated their shoulder or you may be one of them! Shoulder instability occurs when the muscles, ligaments and tendons can no longer hold the ball and socket joint together. 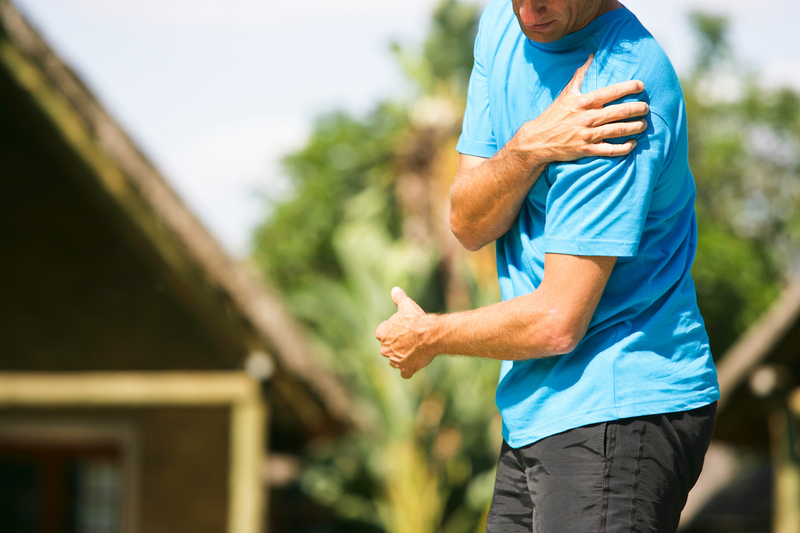 Similar to SLAP tears, rotator cuff tears occur in people who play repetitive overhead sports. Rotator cuff tears can occur in individuals with poor posture as the tendons of the rotator cuffs become more aggravated, leading to a tear over time. How Dee Why Chiropractic Care can help! We use a combination of techniques, which can help decrease the pain and restore normal motion to the shoulder; this involves correcting the muscle patterns and treating the injured tissue. Home exercises will be prescribed to complement the treatment done in clinic. If you have any questions or think we can help you, don’t hesitate to contact us. Stop the pain today!